You must be a member of the Zurich Party People Group to attend this activity. Would you like to join this group? I am very pleased to invite you to our bi-weekly activity in the bar of the Protected content . 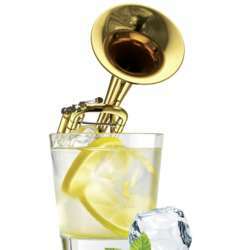 Gin & Jazz is created for those who want to go on a music trip with the drink in their hand, after the hard working day, together with other jazz and soul music lovers. This Thursday we will enjoy The Soulmaniacs, Zurich based Soul & Funk band created in Protected content . Throughout the years, the band has become a collective featuring numerous musicians from the Swiss Scene. Come and join us for groovy evening with the legendary Soulmaniacs. The icing on the cake: Protected content is mixing the best Gin&Tonics in the town (and has perfect selection of other drinks). This event will take place every first and third Thursday of the month and will be hosted either by me or Moj, so don't be afraid to come alone: we will introduce you to other members of the community.